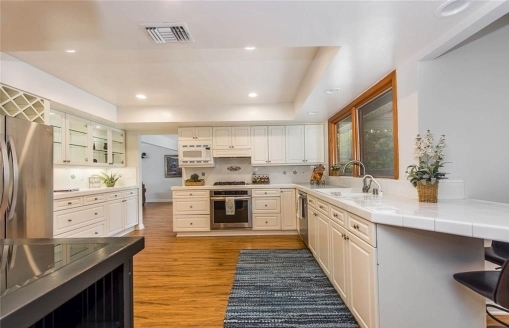 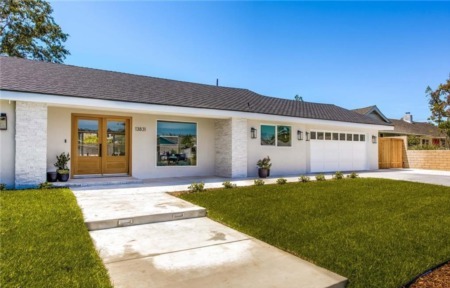 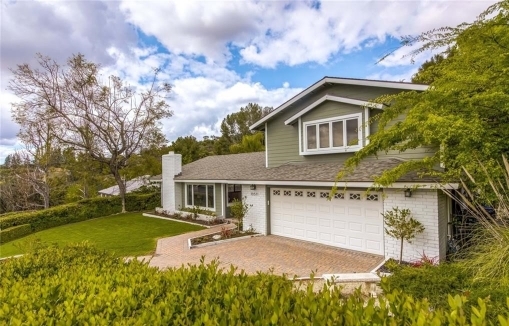 Welcome to 10511 Grove Oak in the hills of North Tustin, a five bedroom three + two half baths home of with over 2900 square feet on a private lot. 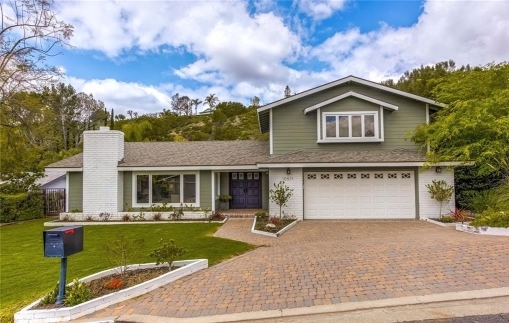 Large formal living room opens to the dining room with backyard view, family room enjoys backyard access to large covered patio, pool and bar-b-que area, follow the patio to grassy area and an elevated play house/she shed/man cave. 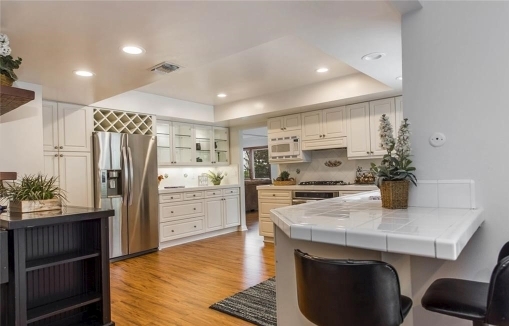 The kitchen is centrally located opening to both family room and dining room, four bedrooms including generous master suite are on entry level. 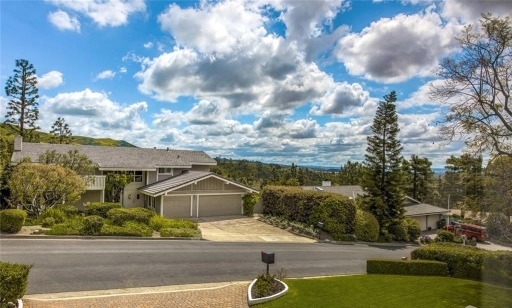 Huge fifth bedroom and full bath are privately situated and occupy the entire second story. This home is perfect for indoor and outdoor entertaining and don't miss the hillside view.